One of the sides in the picture below is 14% faster when rendered on the same hardware, thanks to a new graphics feature available only on DirectX 12. Can you spot a difference in rendering quality? Neither can we. 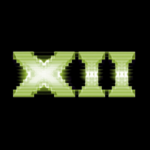 Which is why we’re very excited to announce that DirectX 12 is the first graphics API to offer broad hardware support for Variable Rate Shading. What is Variable Rate Shading? In a nutshell, it’s a powerful new API that gives the developers the ability to use GPUs more intelligently. For each pixel in a screen, shaders are called to calculate the color this pixel should be. Shading rate refers to the resolution at which these shaders are called (which is different from the overall screen resolution). A higher shading rate means more visual fidelity, but more GPU cost; a lower shading rate means the opposite: lower visual fidelity that comes at a lower GPU cost. Traditionally, when developers set a game’s shading rate, this shading rate is applied to all pixels in a frame. There’s a problem with this: not all pixels are created equal. 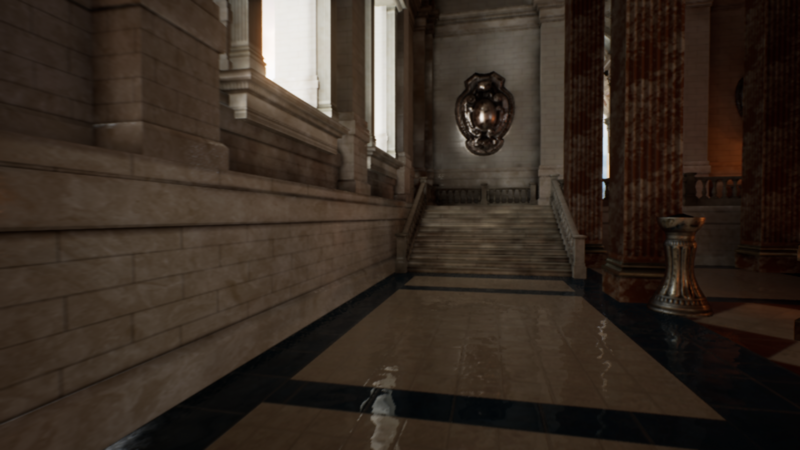 VRS allows developers to selectively reduce the shading rate in areas of the frame where it won’t affect visual quality, letting them gain extra performance in their games. This is really exciting, because extra perf means increased framerates and lower-spec’d hardware being able to run better games than ever before. VRS also lets developers do the opposite: using an increased shading rate only in areas where it matters most, meaning even better visual quality in games. On top of that, we designed VRS to be extremely straightforward for developers to integrate into their engines. Only a few days of dev work integrating VRS support can result in large increases in performance. There are two flavors, or tiers, of hardware with VRS support. The hardware that can support per-draw VRS hardware are Tier 1. There’s also a Tier 2, the hardware that can support both per-draw and within-draw variable rate shading. By allowing developers to specify the per-draw shading rate, different draw calls can have different shading rates. For example, a developer could draw a game’s large environment assets, assets in a faraway plane, or assets obscured behind semitransparency at a lower shading rate, while keeping a high shading rate for more detailed assets in a scene. Think of a screenspace image as reference image for what shading rate is used for what portion of the screen. By allowing developers to specify the shading rate using a screenspace image, we open up the ability for a variety of techniques. For example, foveated rendering, rendering the most detail in the area where the user is paying attention, and gradually decreasing the shading rate outside this area to save on performance. In a first-person shooter, the user is likely paying most attention to their crosshairs, and not much attention to the far edges of the screen, making FPS games an ideal candidate for this technique. Specifying the per-primitive shading rate means that developers can within a draw, specify the shading rate per triangle. One use case for this would be for developers who know they are applying a depth-of-field blur in their game to render all triangles beyond some distance at a lower shading rate. This won’t lead to a degradation in visual quality, but will lead to an increase in performance, since these faraway triangles are going to be blurry anyway. We’re also introducing combiners, which allow developers to combine per-draw, screenspace image and per-primitive VRS at the same time. For example, a developer who’s using a screenspace image for foveated rendering can, using the VRS combiners, also apply per-primitive VRS to render faraway objects at lower shading rate. What does this actually look like in practice? We partnered with Firaxis games to see what VRS can do for a game on NVIDIA hardware that exists today. They experimented with both adding both per-draw and per-screenspace image support to their game. These experiments were done using an GeForce RTX 2060 to draw at 4K resolution. Before adding VRS support, the scene they looked at would run at around 53 FPS. 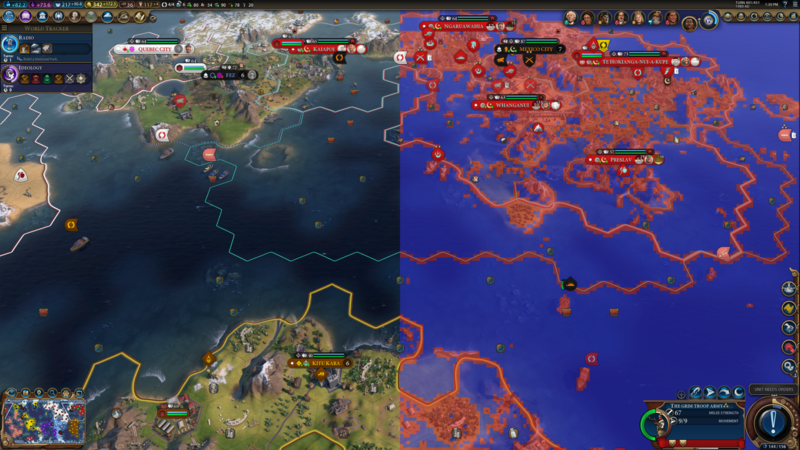 Firaxis’s first experiment was to add Tier 1 support to their game: drawing terrain and water at a lower shading rate (2×2), and drawing smaller assets (vehicles, buildings and UI drawn) at a higher shading rate (1×1). See if you can tell which one of these images is the game with Tier 1 VRS enabled and which one is the game without. But is there a way to get even better quality, while still getting a significant performance improvement? In the figure above, righthand image is the one with VRS ON – observant users might notice some slight visual degradations. For this game, isolating the visual degradations on the righthand image and fixing them is not as simple as pointing to individual draw calls and adjusting their shading rates. Parts of assets in the same draw require different shading rates to get optimal GPU performance without sacrificing visual quality, but luckily Tier 2’s screenspace image is here to help. 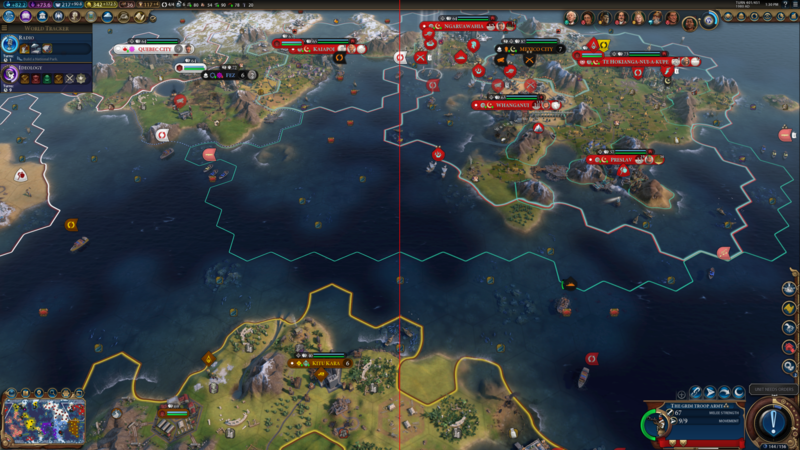 Using an edge detection filter to work out where high detail is required and then setting a screenspace image, Firaxis was still able to gain a performance win, while preserving lots of detail. 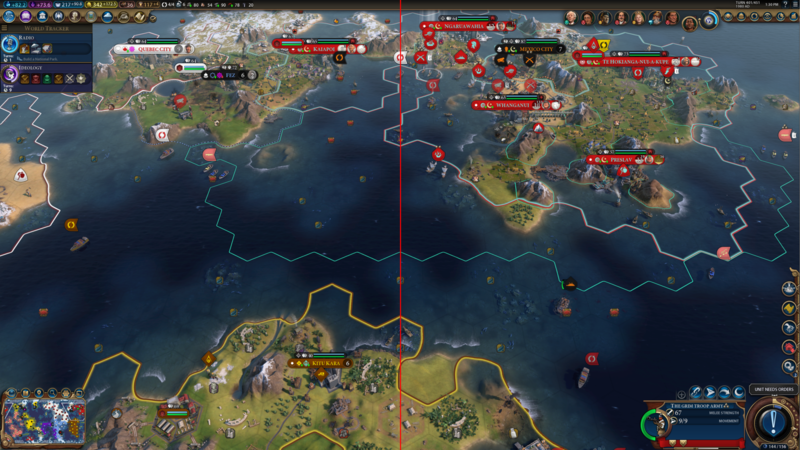 For the same scene, Firaxis saw a 14% increase in FPS with their screenspace image implementation. In the DirectX team, we want to make sure that our features work on as much of our partners’ hardware as possible. VRS support exists today on in-market NVIDIA hardware and on upcoming Intel hardware. Intel’s already started doing experiments with variable rate shading on prototype Gen11 hardware, scheduled to come out this year. With their initial proof-of-concept usage of VRS in UE4’s Sun Temple, they were able to show a significant performance win. Above is a screenshot of this work, running on prototype Gen11 hardware. To see their prototype hardware in action and for more info, come to Microsoft’s VRS announcement session and check out Intel’s booth at GDC. As we add more options to DX12 for our developers, we also make sure that they have the best tooling possible. PIX for Windows will support the VRS API from day 1 of the API’s release. PIX on Windows supports capturing and replaying VRS API calls, allowing developers to inspect the shading rate and its impact on their rendering work. The PIX download portal’s latest version of PIX has all these features. All of this means that developers who want to integrate VRS support into their engines have tooling on day 1. What Does This Mean for Games? Developers now have an incredibly flexible tool in their toolbelt, allowing them to increase performance and quality without any invasive code changes. In the future, once VRS hardware becomes more widespread, we expect an even wider range of hardware to be able to run graphically intensive games. Games taking full advantage of VRS will be able to use the extra performance to run at increased framerates, higher resolutions and with less aliasing. Want to be one of the first to get VRS in your game? Start by attending our Game Developer Conference sponsored sessions on Variable Rate Shading for all the technical details you need to start coding. Our first session will be an introduction to the feature. Come to our second session for deep dive into how implement VRS into your title. Not attending GDC? No problem! We’ve updated the directxtech forums with a getting started guide, a link to the VRS spec and a link to a sample for developers to get started. We’ll also upload our slides after our GDC talks. does its support pascal gpus like the gtx 1080ti? or its the turing feature only?